Prices of these course vary depending on previous experience and course undertaken. 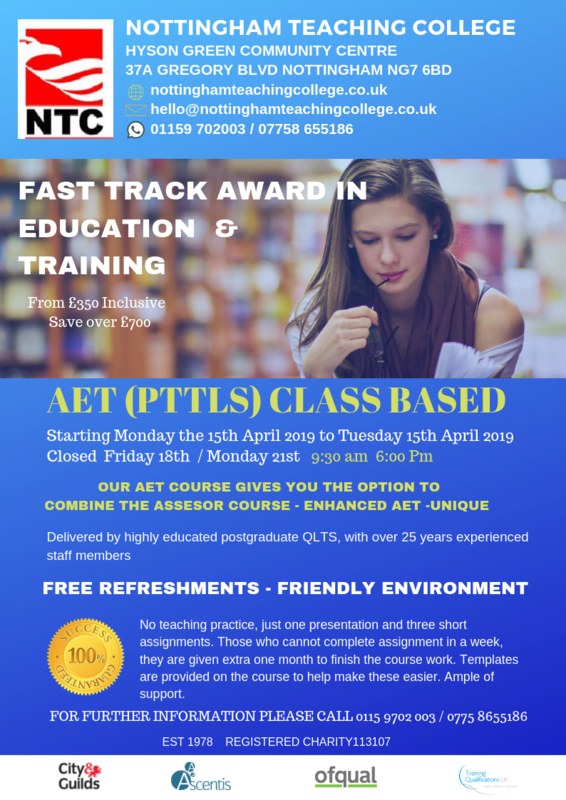 The usaul price for this course is £995 for those who have AET £750, please note we are the cheapest in the country for classrooms based course. Enrol as soon as possible, some per-course work has to be done before the start date. For pricing please ring the college.